Nepal is a tiny mountain nation that gives travellers one dilemma – how to fit in all it has to offer! 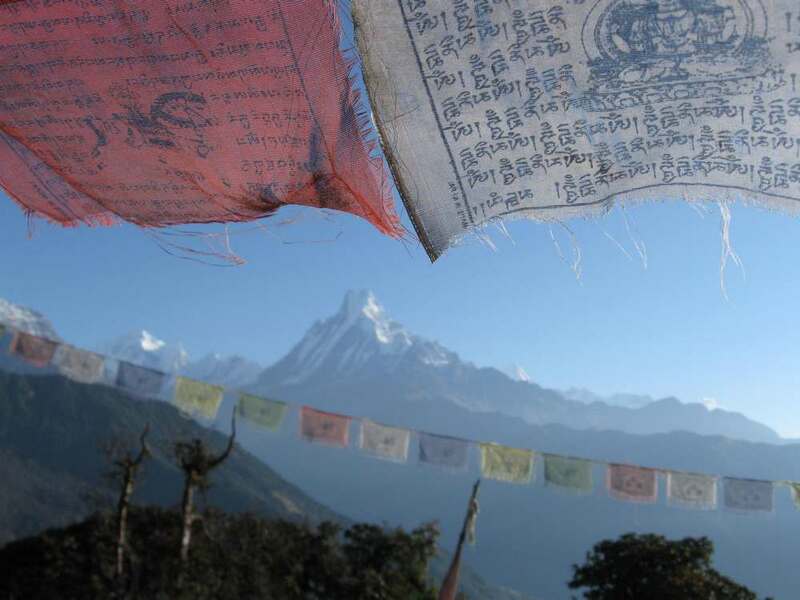 Nepal is a natural haven for mountain lovers and hosts some of the best trekking in the world. 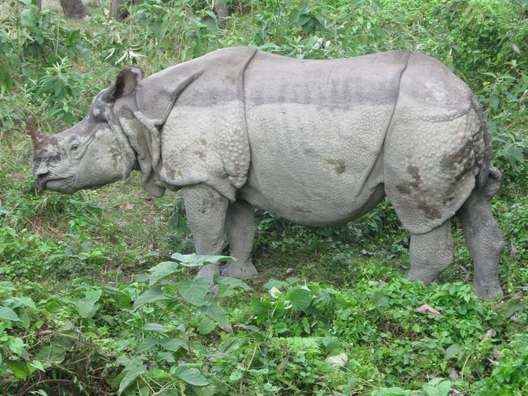 Combining this with the extremely friendly Nepalese people, you are sure to want to return again and again! 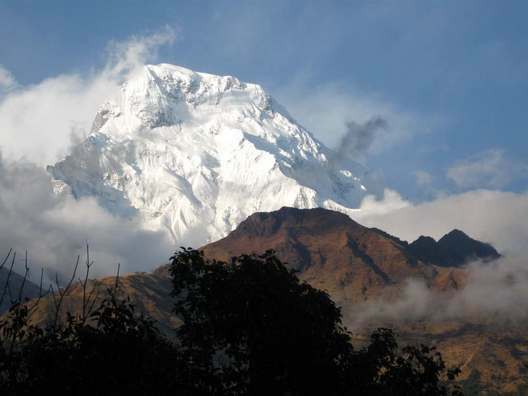 Trek amongst stunningly beautiful mountain scenery with deep blue skies and the challenge of high altitude. 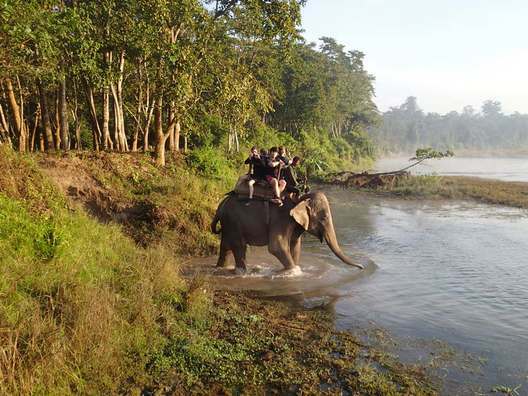 Explore World-Heritage listed Chitwan National Park on the back of an Indian elephant and see rhinos, monkeys and if you’re lucky leopards and sloth bears. 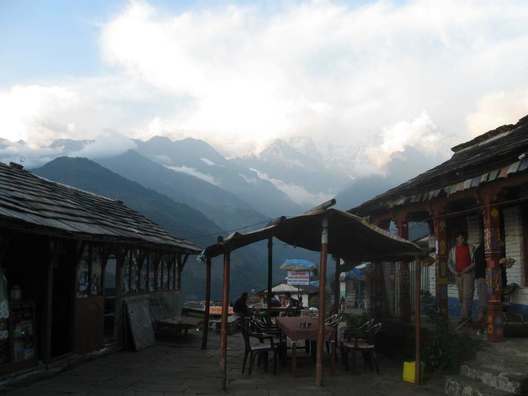 Enjoy the legendary friendliness of the Nepalese people. 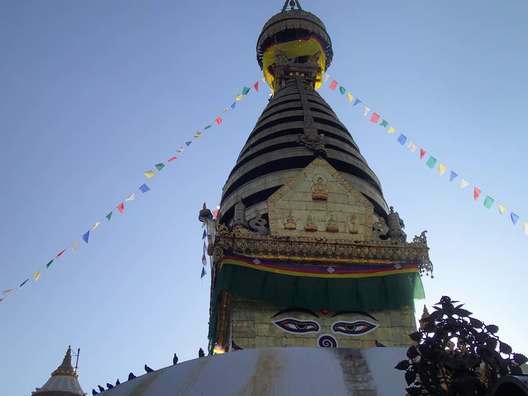 Join Buddhist pilgrims on a spiritual stroll as they make their daily visits to the stupas. 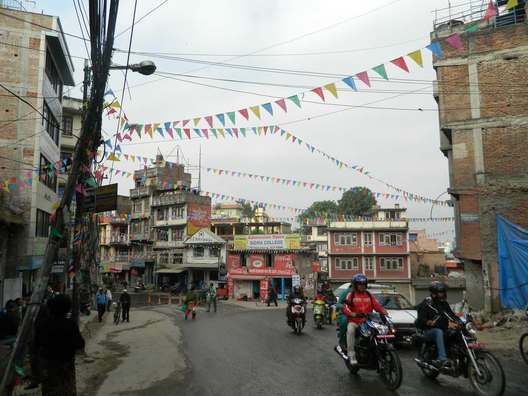 On arrival in Nepal the group can spend a full day in Kathmandu to acclimatise. The city is brimming with history and culture. A day spent wandering through old streets, past fresh food market stalls and ancient temples is an amazing introduction to Nepal. 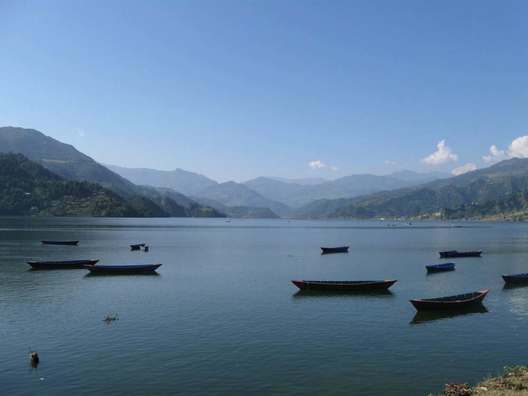 After travelling onto Pokhara, the gateway to the Annapurna region, you can spend more time getting to know this brilliant country. Nepal is famous for its mountains and of course its trekking, and no trek is more iconic than the incredible Annapurna trail! There are plenty of other treks to choose from if want shorter options, all with breath-taking views of the Himalayan mountain range. 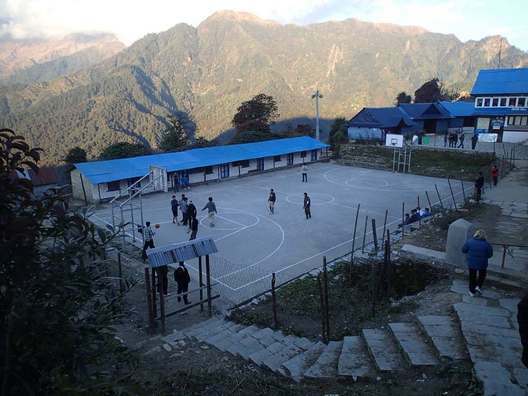 It is also an opportunity to experience the local way of life for the rural Nepalese people. Providing support to those who suffered in the effects of the recent earthquake would undoubtedly be invaluable. Time spent with a local community would allow a greater understanding of challenges faced by these people whilst you help them in the reconstruction of homes, community buildings or schools. Nepal has some great rivers, and one of the best ways to see them is to get the adrenalin going whilst rafting down some spectacular grade 3 rapids. When you get back to the capital, you can spend a day exploring the stunning city of Bhaktapur. The third largest city in the Kathmandu region, it is also a UNESCO World Heritage Site thanks to its beautifully preserved palace courtyards and temples. Our Nepalese adventure is graded as challenging or level 4. 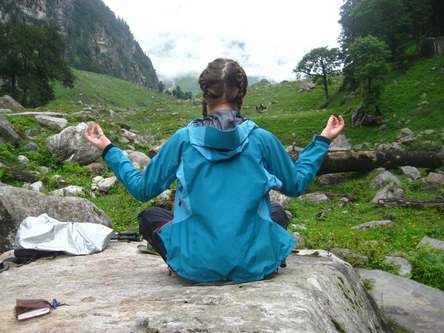 However we have many trek options from the more easy to difficult giving an overall grade of 3 to 5. The fitter you are the more you will enjoy your expedition. Mountainous regions at high altitude, also plains and forest. The dry season runs from October to May and the wet (monsoon) season runs from June to September. Autumn (September to November) offers warm daytime temperatures, clear skies and perfect weather for trekking. Hinduism and Buddhism are the two major religions of Nepal.